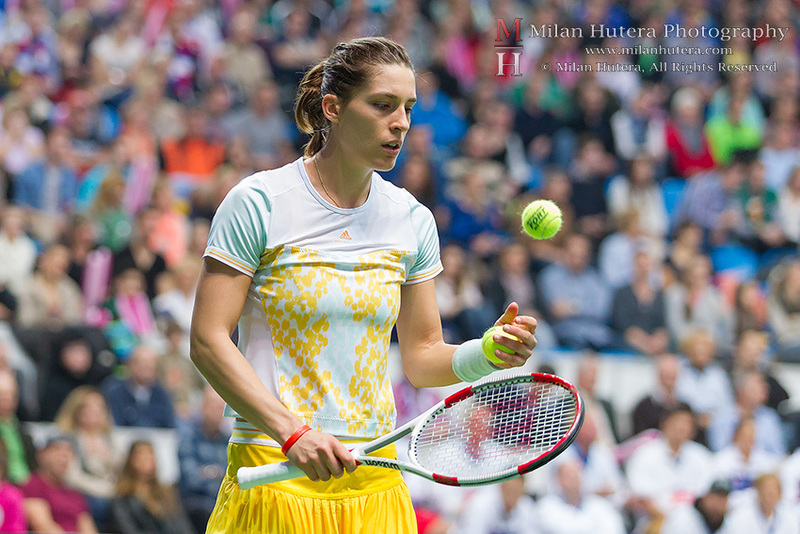 First two weeks of february 2014 were all about tennis. 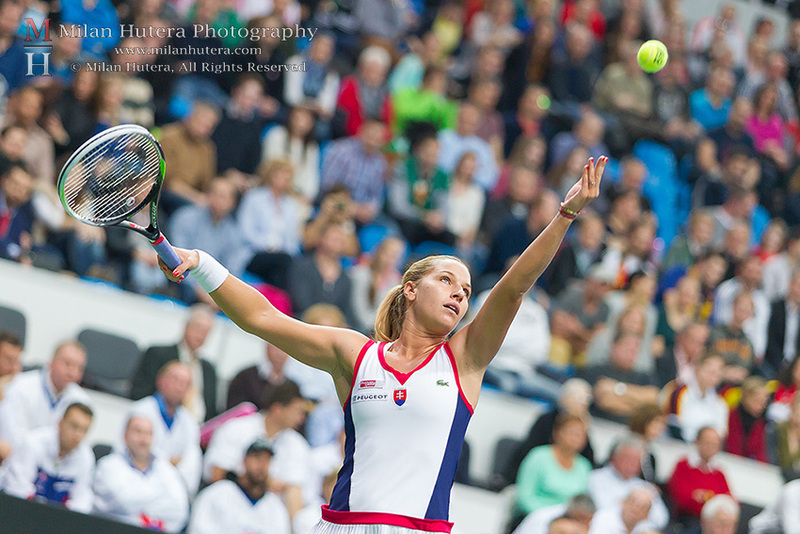 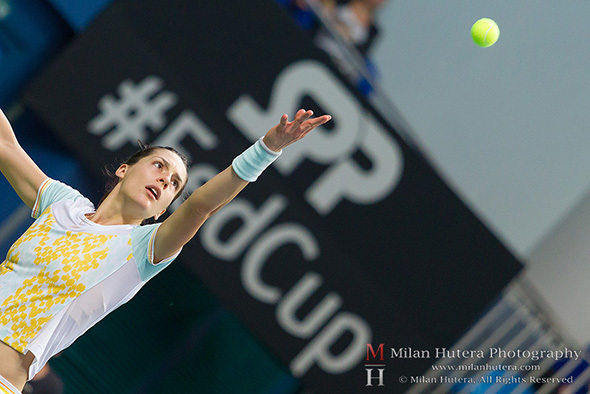 Both Slovak Davis Cup and Fed Cup teams hosted their oponents in Bratislava. 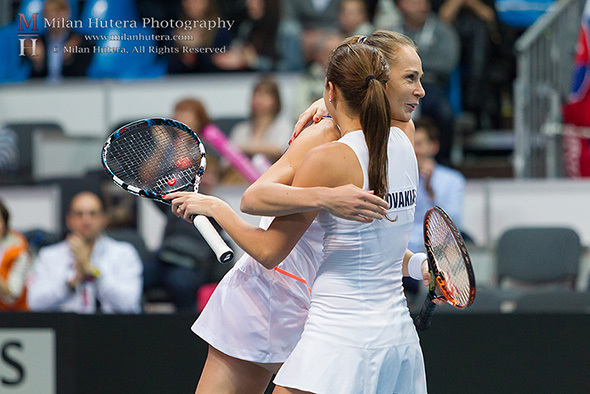 The women’s Fed Cup World Group 1 tie against Germany was certainly more prestigious one. Both teams had some amazing players in their line-ups. 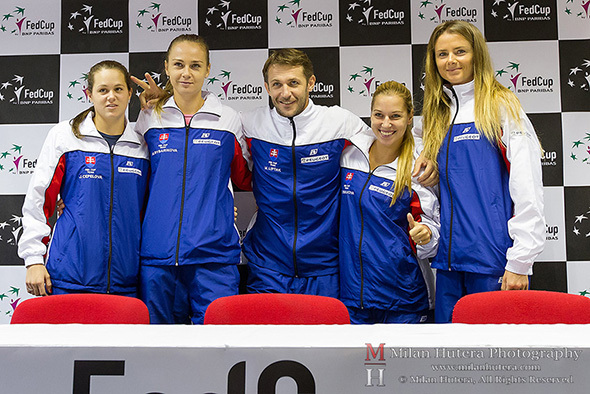 Team Slovakia consisted of 2014 Australian Open finalist Dominika Cibulkova, two-times Fed Cup Heart Award winner Daniela Hantuchova, Magdalena Rybarikova and Jana Cepelova. 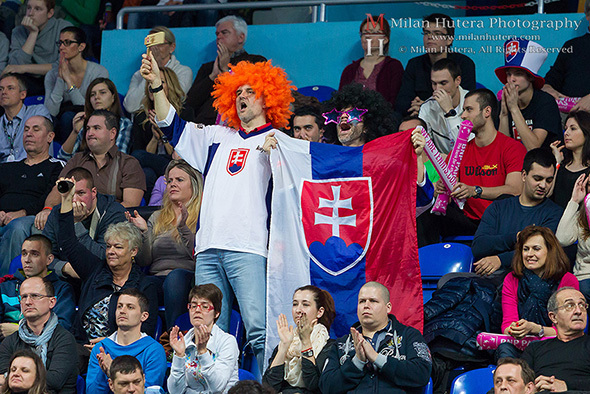 The Germans arrived with World No. 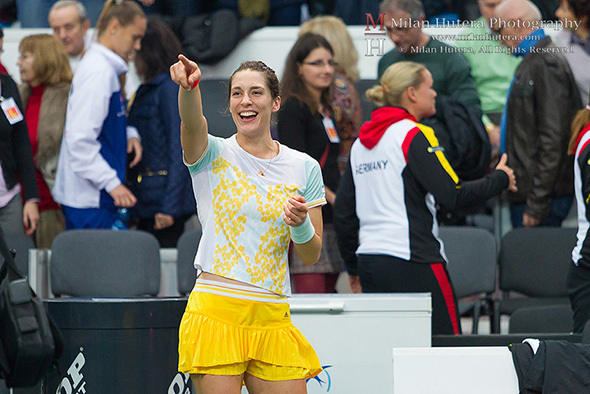 9 Angelique Kerber, former Top 10 member Andrea Petkovic, Julia Goerges and doubles specialist Anna-Lena Groenefeld. 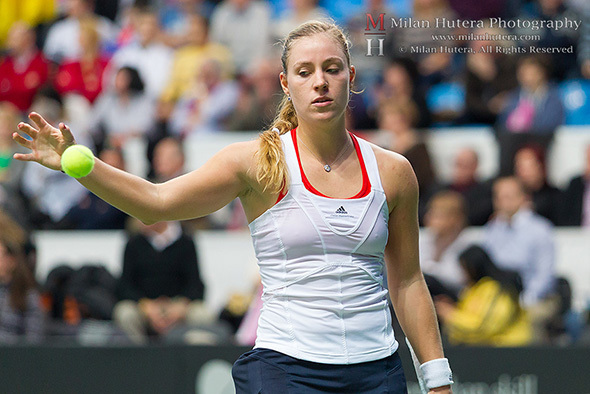 The Germans were supposed to be even stronger, but Wimbledon 2013 finalist Sabine Lisicki was not able to play due to injury. Although the Germans won the tie 3:1, the matches were very close. 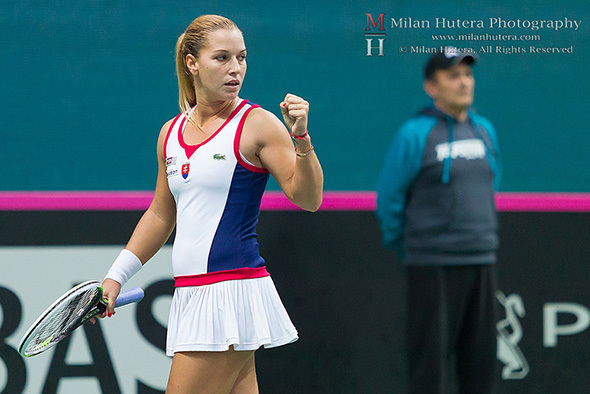 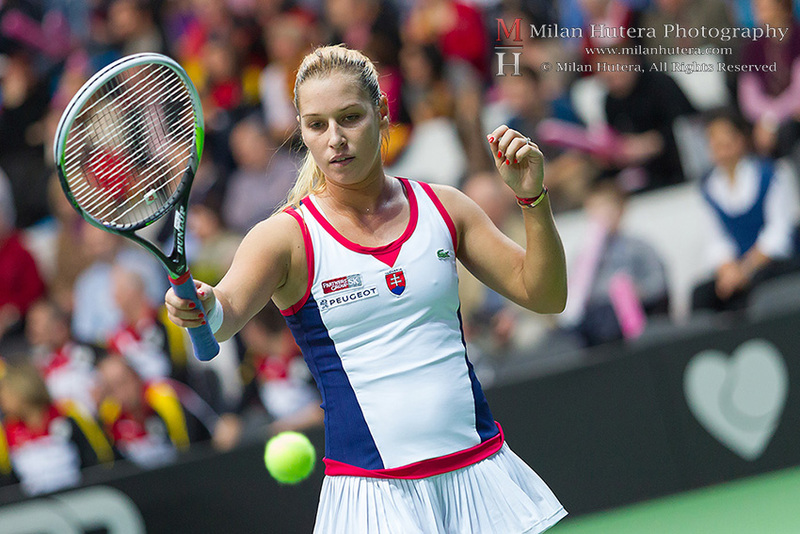 In the opening match, Dominika Cibulkova won the first set against Andrea Petkovic 6:2. In second set tie-break, Dominika was trailing 1:6, managed to come back and lead 7:6, but Petkovic managed to win both tie-break and the match. 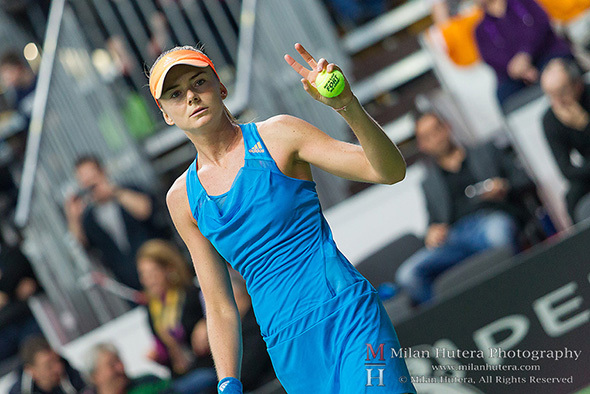 Daniela Hantuchova then lost her match to German No. 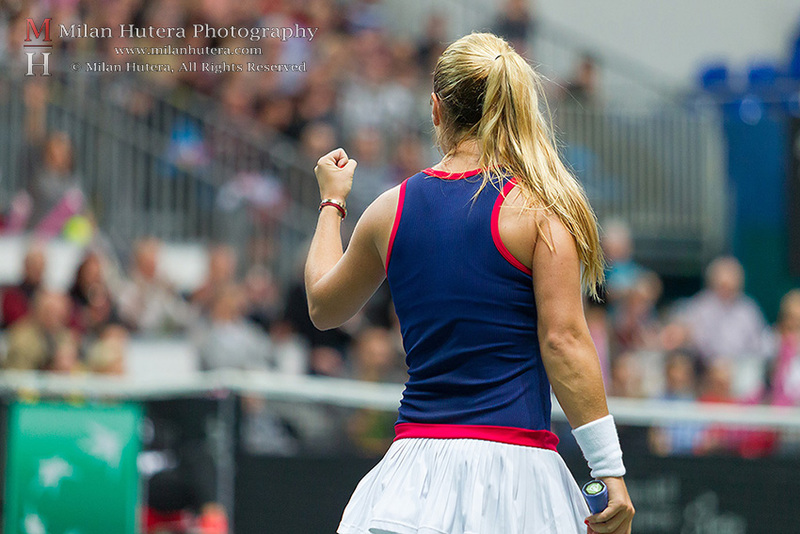 1 Angelique Kerber in two sets. 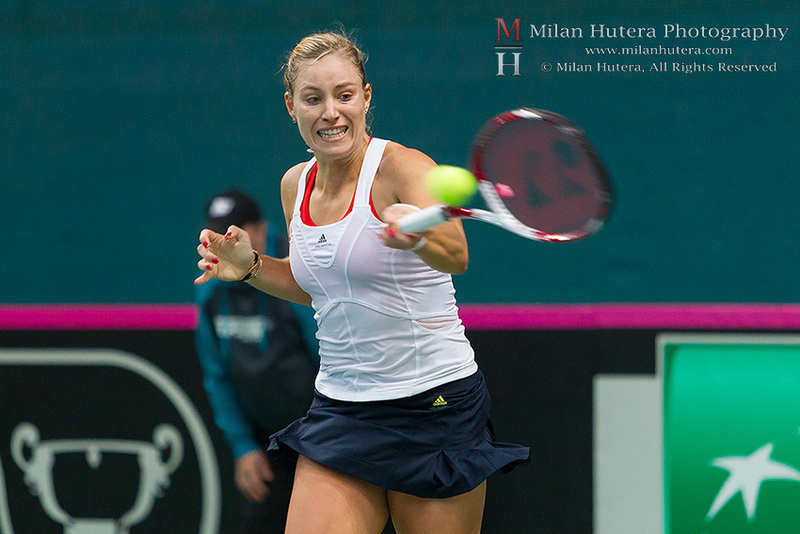 The first set was decided in tie-break and Angelique Kerber needed 11 points to secure the first set. The Sunday’s battle of the leaders was again decided in tie-break. 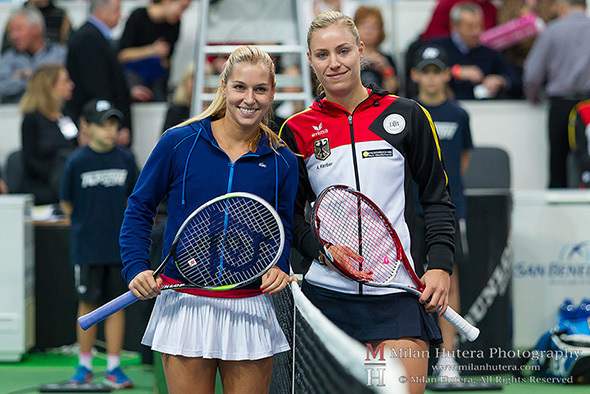 Angelique Kerber managed to win against Dominika Cibulkova 6:3, 7:6 and the German team advanced to the Fed Cup World Group 1 Semifinals. In the last match of the tie, Magdalena Rybarikova and Jana Cepelova secured the only Slovak point after a three set victory over Julia Goerges and Anna-Lena Groenefeld. 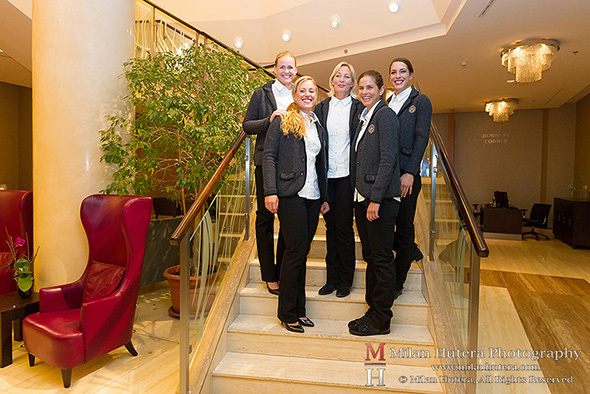 Luck was certainly on the German side this time, maybe because they played like a team, did their pre-match ritual like a team and celebrated the victory like a team. Some of my favorite photos from the weekend are below (click on the photo to see slightly larger version).